Atlanta Falcons linebacker Sean Weatherspoon is out for the year after tearing his Achilles. 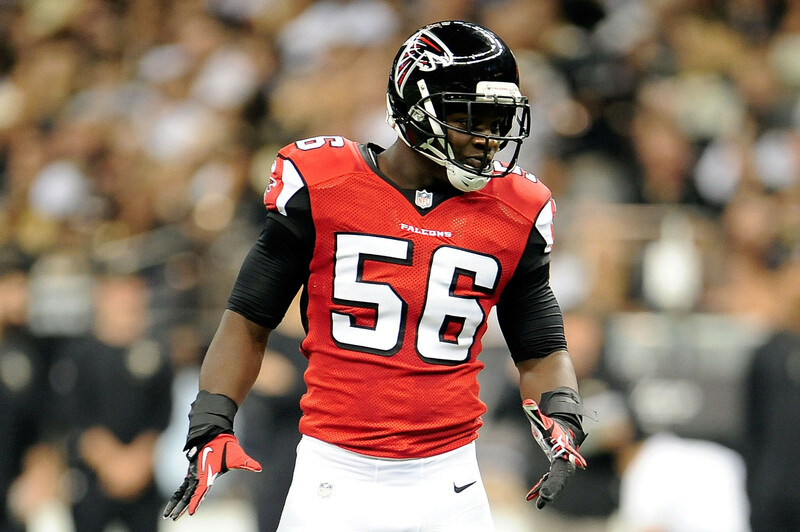 Falcons announce Sean Weatherspoon ruptured his Achilles and will miss 2014 season. He was already working back from a knee injury that ended his season last year in Week 15. It’s a big blow for the Falcons’ linebacking corps. Weatherspoon was in the last year of his rookie contract. Unfortunately, I can’t see the Falcons bringing him back unless it’s on a incentive-laden, prove-it deal. Hopefully the linebacker has a speedy recovery and returns to the field soon.